Humans, as we are still referred to these days, are somehow shifting all real time experiences to something slightly different. Reinventing real life experiences and relocating senses to a new platform, has a very simple logic behind the shift – people want to be part of everything and have loads of fun for free. To start with, here’s Stanley the piano from Digital Kitchen, that provides a window into the talented musicians playing at the Block Party 2012. 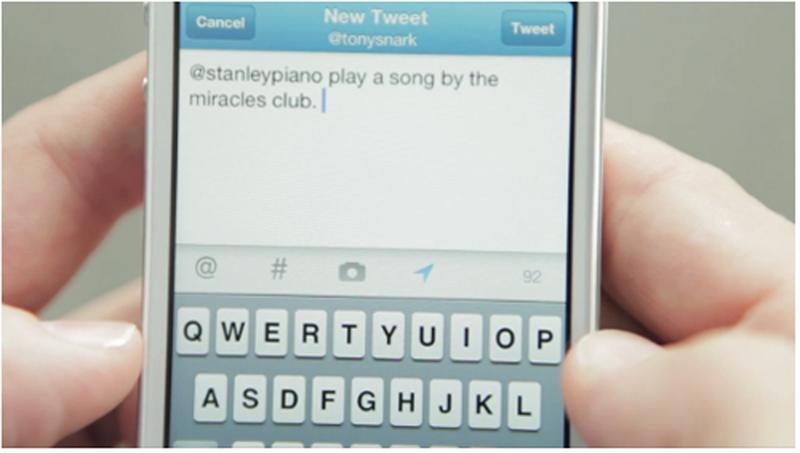 Using the old piano roll technology, Stanley is exactly the same but running on twitter – an interactive player piano who will take your Twitter request. It’s got style, it’s a lot of fun and it’s user generated. Now that sounds great. Here is a slightly different yet very interesting relocation of visual to audio. 99 % Invisible is an inventive podcast that treats the design of everyday things like a forensic science. In each episode, creator and host Roman Mars highlights some nearly invisible design process that you had no idea was incredibly interesting and then tells you why it is. When was the last time you marched on a parade? Japan’s #2 mobile provider KDDI launched this super fun Twitter parade to promote its IS smartphone. Type in your Twitter ID and lead a march with your followers. Click on any of their avatars to see related tweets and watch them in a solo performance. See it as manifestation of your Twitter power, a silent protest or a minute of fun – its right on the money. I believe every story can be told in countless ways, as long as it’s original, content related and well crafted. With only few variables in mind, there is a history of humankind to be converted to a new platform. Shifting personal experiences in the name of brands for masses while keeping it simple.